BabyCentre, whom I write for weekly, asked me to write them some easy recipes with pregnancy nutrition in mind and that was the inspiration behind this dish. So you don’t have to pregnant to eat this (and no I’m not) but it’s good for you if you are. Equally adaptable for fridge foraging sessions, late night suppers hoovering up left overs or mid morning weekend brunch. Assuming you’re adding pre-cooked potato, tortilla can be on the table inside 15 minutes so this doubles up as my entry for Speedy Suppers! 2. Oriental option – Shittake mushroom and pak choi – you could ditch the cheese and replace with cubes of smoked tofu? 7. Smoked salmon and leek with a squeeze of lemon and pepper on top. 10. Kedgeree style with leftover rice rather than potato, spices, peas and smoked haddock. 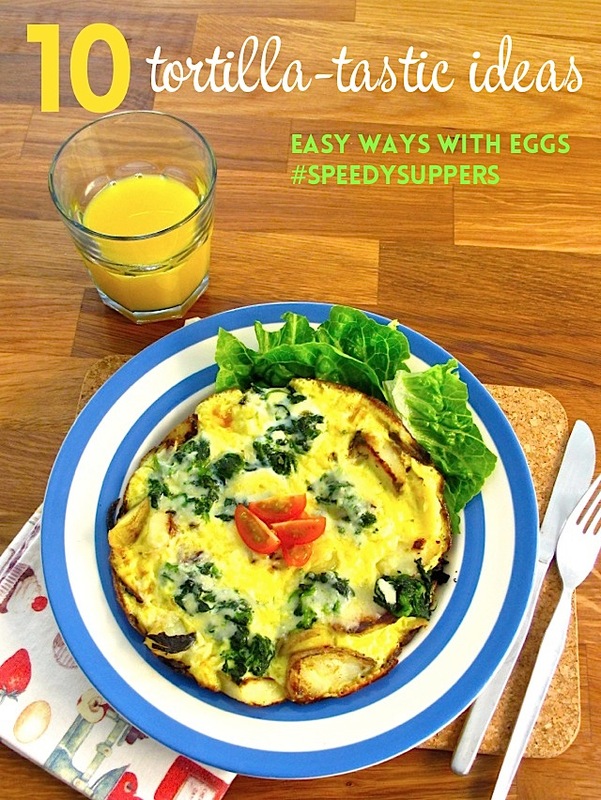 Do you have a favourite frittata or tortilla recipe? Feel free to share it below! 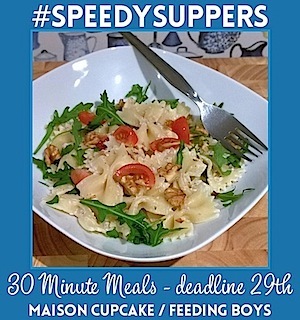 Don’t forget I am hosting Speedy Suppers this month – you still have six days to enter your dishes ready on the table in 30 minutes or less. This event is one I host in alternate months alongside Katie at Feeding Boys. Some nice ideas there Sarah. I need plenty of iron at the moment so this is a great recipe to try and I like the tips, too.